All-natural, farm fresh skincare products for our family and yours. Because what you DO put on your body is just as important as what you DON'T. Raw Goat Milk We use farm fresh goat milk from our own herd of goats that’s always free of hormones, vaccines, and other additives. Goat milk is rich in essential fatty acids, triglycerides, vitamins A, D, E, and K, and lactic acid which help to exfoliate and hydrate your skin from the inside out. It has a pH balance similar to humans, making it less irritating and more easily absorbed into your skin. × We use farm fresh goat milk from our own herd of goats that’s always free of hormones, vaccines, and other additives. Goat milk is rich in essential fatty acids, triglycerides, vitamins A, D, E, and K, and lactic acid which help to exfoliate and hydrate your skin from the inside out. It has a pH balance similar to humans, making it less irritating and more easily absorbed into your skin. Steam Distilled Essential Oils We’ve specifically chosen to use high-grade essential oils to give our products a boost of therapeutic scent. Often steam distilled to maintain a more potent, higher quality oil, essential oils are also known to hold many different benefits to the mind and body. We believe this is a safer, more natural way to add fragrance to our products versus using artificial fragrances that many other skin care companies rely on. × We’ve specifically chosen to use high-grade essential oils to give our products a boost of therapeutic scent. Often steam distilled to maintain a more potent, higher quality oil, essential oils are also known to hold many different benefits to the mind and body. We believe this is a safer, more natural way to add fragrance to our products versus using artificial fragrances that many other skin care companies rely on. All-Natural Ingredients Not all “natural” skin care is created equally. Early on, we learned that using simple, wholesome ingredients was important to us because of how they made our skin look and feel, and it remains that way today. We steer clear from using any questionable ingredients, obvious toxins, and controversial synthetitives along with any other ingredient linked to internal health disruption. × Not all “natural” skin care is created equally. Early on, we learned that using simple, wholesome ingredients was important to us because of how they made our skin look and feel, and it remains that way today. We steer clear from using any questionable ingredients, obvious toxins, and controversial synthetitives along with any other ingredient linked to internal health disruption. Affordable Skincare When our son Chance suffered with eczema, we learned that most proposed skin care remedies cost a fortune. But when we started making our own natural skincare products we realized relief didn’t have to break the bank. We found a way to obtain the highest quality ingredients while keeping our products available to you at affordable prices. Our aim is to ensure people suffering from eczema and other sensitive skin issues have access to affordable all-natural skincare so they can experience the same relief Chance did. × When our son Chance suffered with eczema, we learned that most proposed skin care remedies cost a fortune. But when we started making our own natural skincare products we realized relief didn’t have to break the bank. We found a way to obtain the highest quality ingredients while keeping our products available to you at affordable prices. Our aim is to ensure people suffering from eczema and other sensitive skin issues have access to affordable all-natural skincare so they can experience the same relief Chance did. NO GMO Oils These "vegetable oils" can be made from genetically modified corn, canola, soybeans, to name a few. GMO research is still limited, but animal studies with genetically modified substances show organ damage, immune system disorders, and accelerated aging and infertility. Human studies suggest that GMOs can result in autism, food allergies, and reproductive difficulties. × These "vegetable oils" can be made from genetically modified corn, canola, soybeans, to name a few. GMO research is still limited, but animal studies with genetically modified substances show organ damage, immune system disorders, and accelerated aging and infertility. Human studies suggest that GMOs can result in autism, food allergies, and reproductive difficulties. NO Dyes Commercial skincare products are often packed with artificial dyes and colors that have been known to cause various health issues. Yellow No. 6, Red No. 3, Blue No. 2, and several other dyes have been linked to a variety of cancers. Dyes might make the end product look pretty, but at what cost to your body? × Commercial skincare products are often packed with artificial dyes and colors that have been known to cause various health issues. Yellow No. 6, Red No. 3, Blue No. 2, and several other dyes have been linked to a variety of cancers. Dyes might make the end product look pretty, but at what cost to your body? NO Steroids Many folks with skin conditions like eczema and psoriasis — known to cause dryness, itching, bleeding, and an overall sense of discomfort for the skin — resort to steroid creams for relief. But many steroid creams are packed full of toxic ingredients that can sting, irritate, thin, and generally weaken the skin with continued use. × Many folks with skin conditions like eczema and psoriasis — known to cause dryness, itching, bleeding, and an overall sense of discomfort for the skin — resort to steroid creams for relief. But many steroid creams are packed full of toxic ingredients that can sting, irritate, thin, and generally weaken the skin with continued use. NO Parabens This synthetic preservative — found in most big name-brand personal care products — enters your bloodstream and doesn't flush out like other particles, often mistaken by your body for estrogen. Extra estrogen in your body can lead to acne, fat storage, decreased muscle mass and even reproductive difficulties. Exposure to parabens has been linked to breast cancer, prostate cancer, organ toxicity, and birth defects. × This synthetic preservative — found in most big name-brand personal care products — enters your bloodstream and doesn't flush out like other particles, often mistaken by your body for estrogen. Extra estrogen in your body can lead to acne, fat storage, decreased muscle mass and even reproductive difficulties. Exposure to parabens has been linked to breast cancer, prostate cancer, organ toxicity, and birth defects. NO Phthalates This group of chemicals are actually used to soften and increase the flexibility of plastic and vinyl! Phthalates are also linked to many types of cancer. × This group of chemicals are actually used to soften and increase the flexibility of plastic and vinyl! Phthalates are also linked to many types of cancer. NO Sulfates Used to degrease engines and clean garage floors, this chemical is added to soap to dissolve oils on your skin and help create a rich lather. Yet, despite all of this, Sodium Lauryl Sulfate has known side effects that are harmful to our bodies like pulling moisture and irritating skin. × Used to degrease engines and clean garage floors, this chemical is added to soap to dissolve oils on your skin and help create a rich lather. Yet, despite all of this, Sodium Lauryl Sulfate has known side effects that are harmful to our bodies like pulling moisture and irritating skin. NO Aluminum Found in antiperspirant deodorants, aluminum enters your body by temporarily plugging your sweat ducts and preventing you from sweating. This interferes with your body’s natural need to sweat and release toxins. Many studies show the potential health risks associated with aluminum include Alzheimer’s, breast cancer, and other diseases from constant exposure to this ingredient. 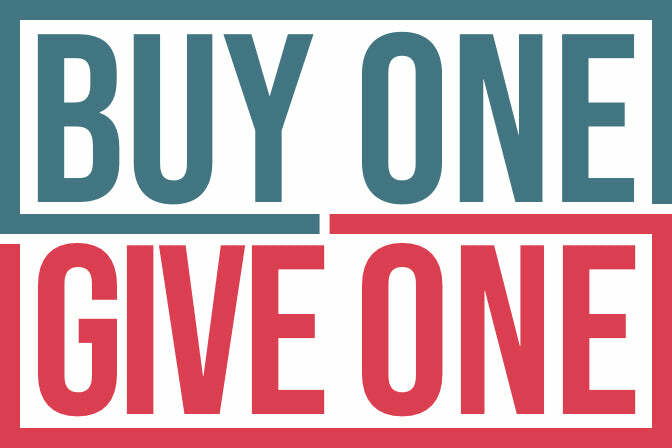 Buy One Give One: With every purchase we donate a travel size bar to local hospitals. Our all-natural goat milk soaps and milk baths are made using the highest quality ingredients specifically chosen for the vitamins, nutrients, and hydration they offer the skin. Experience healthier happier skin at an affordable price, one bar (or milk bath) at a time. Designed to soothe and nurture even the most sensitive skin, our goat milk lotion delivers a burst of goat milk, luscious oils, and Vitamin E. Bye bye drying ingredients, itchy skin, and multiple applications… Hello silky smooth! Soothe, nurture, and hydrate even the most sensitive skin with high quality, all-natural skincare products. Made without synthetic preservatives or chemical ingredients that can aggravate sensitive skin. These products will help soothe and hydrate even the most sensitive or dry itchy skin. An all-natural deodorant that actually works! No aluminum, sulfates, parabens, or GMO oils. Just healthy and safe ingredients that create a fantastic, all-natural deodorant that works just as hard as you do. Clean, exfoliate, and moisturize your skin in one step with our non-GMO sugar scrub. Made with exfoliating sugar cane, rich, skin-loving oils, and a dash of honey, our 100% natural sugar scrub will leave you with skin that’s soft, smooth, and hydrated all day long. Made with simple, natural ingredients like rich butters and oils, one swipe with our lip butter will soothe and hydrate your lips giving you natural protection. It’s a simple upgrade to an everyday essential your lips are sure to love. Give the gift of healthy, all-natural skin. Take the guesswork out of gift giving with customizable gift sets full of natural skincare products from Bend Soap Company. With a variety of gift set options in a range of prices, you’re sure to find what you need for any gift giving occasion. Like millions of people, our son Chance suffered from severe eczema. In our journey to find relief for him, we discovered that most “trusted” name brand skincare products are filled with toxic ingredients! We also learned that all-natural skincare products could help nourish and soothe his skin. This compelled us to start making goat milk soap and led to the creation of the Bend Soap Company. To learn more about our journey and the benefits of all-natural skincare, watch this brief video. Seek to improve the quality of life in all that we do for as many people as we can. We make the best all-natural skin care products, because your skin deserves the best. Treat one another and our customers as family. We believe God has created things that are good for us. So we use all-natural ingredients. What we do matters. How we do it matters just as much! Success at the expense of no one. We want to take care of our people first, our company second.